Marking over 20 successful years since the inception of its elite Network Security degree program, UAT is proud to participate in Cyber Security Awareness Month, during the month of October, allowing our faculty of experts to share important information on cyber security with the public. UAT recognizes the importance of training cyber security experts, in its students, alumni, faculty and in local members of the community. We have compiled a few tips and anecdotes about our students below. Security isn’t an instant solution. It's a lifetime process that must be integrated from the very first steps of any project. Introducing the concepts of cyber security and identity protection at an early age, will help you in the battle against the bad guys a.k.a. hackers. 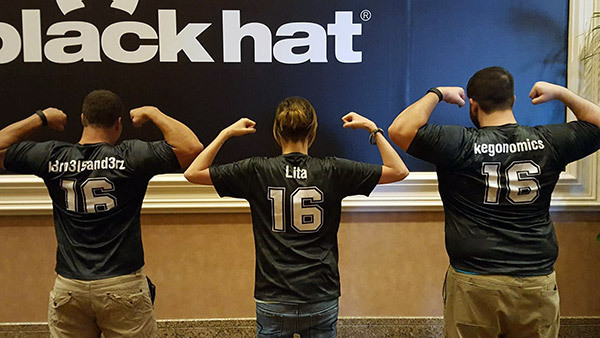 UAT students and alumni have the opportunity to work as paid volunteers at Black Hat and attend DEFCON. These epic experiences provide students with extensive exposure to multiple cyber security companies, which is better than any job fair, and awesome experience to add to their resume. It's more common than you think. To show the prevalence of hacks, check out the Information is Beautiful website. Cyber security is really, really important. These figures help illustrate why. The network security attack surface is expected to reach 4 billion by 2020, just over two years from today. Cyber crime is expect to triple during this time. Now is the time to educate yourself. A hack can cripple a company. A security breach, without appropriate remediation measures and response capability, both of which are expensive, can force a company out of business. According to the NCSA, 60 percent of small and medium companies that experience a data breach go out of business within six months. Having started a degree teaching students how to defend networks in 1998, we’ve helped contribute to the Arizona cyber security industry by pre-populating the talent pool for 20 years. 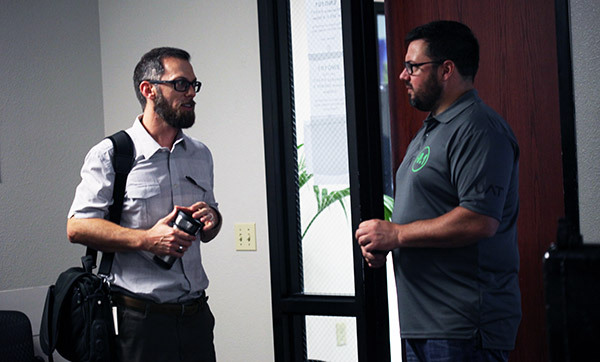 That’s allowed a record amount of cyber companies to germinate here in Arizona, Including Trusona (headed by Ori Eisen), Terraverde (Ed Vasko) and CellTrust (Sean Moshir). With the momentum of talent and active cyber companies in Arizona, we have the opportunity to cement Arizona as a central hub for cyber security like the silicon valley of cyber. 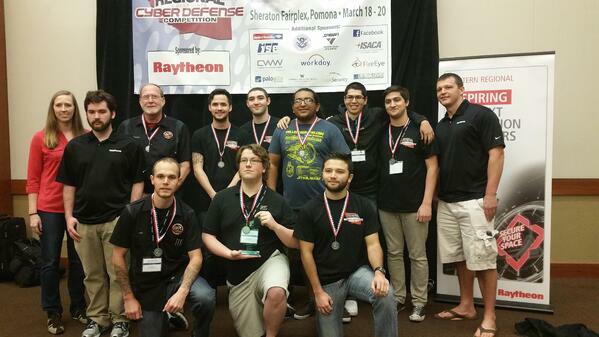 Anyone can be a script kiddie, it’s takes brilliance, creativity and discipline to be a true cyber security professional and that’s why UAT is so passionate about making sure graduates have proven they have the skills, have competed and won multiple competitions including WRCCDC and created an innovation in their field. Our information and privacy is becoming more precarious by the second. The more connected the world gets, the more vulnerable we are; but the worst part is the societal apathy that’s emerging towards breaches of confidential information, privacy and the disregard for Intellectual Property.  Want to know more about cyber security from UAT's experts? UAT is hosting a Cyber Security Open House on Oct. 12, with industry experts, faculty and alumni to offer tips on how to stay safe online and talk about the importance of Cyber Security education to the public. Learn more about protecting yourself online. Dive into what it's like working for the Cyber Security Industry. Celebrate Cyber Security Awareness month on October 12, with a full slate of activities, industry talks, and topics involving some of industry's top professionals. Don’t miss out on this incredible educational event! When: Thursday, Oct. 12, from 6:30-8:30 p.m.
Why: To celebrate Cyber Security Awareness Month and educate the public on tips to stay safe online.